It’s never too early to start planning for Thanksgiving. Why, you might ask? Because I’m pretty sure Thanksgiving is the most beloved and stressed-over holiday on the calendar. It can be just a tad bit overwhelming to get the most anticipated meal of the year (that ends in like 30 minutes and then is followed by 3 hours of cleaning after hours, days, and weeks of preparation) just right. But despite my belly aching, no pun intended, I LOVE Thanksgiving. 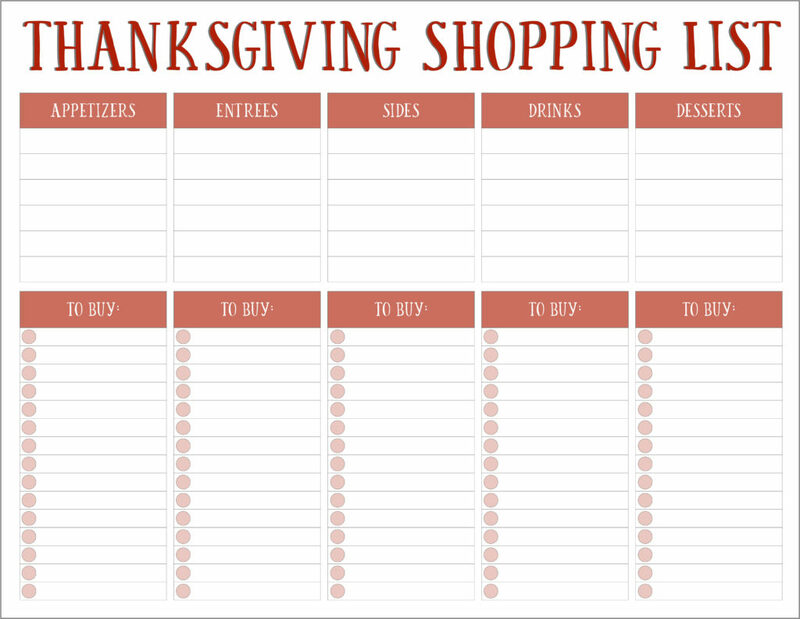 I also love the aspect of planning the entire meal out and creating my Thanksgiving shopping list. There’s just something about writing everything out and planning things in detail in advance that I love. Even if I know that the day will undoubtedly bring some stress and curveballs. 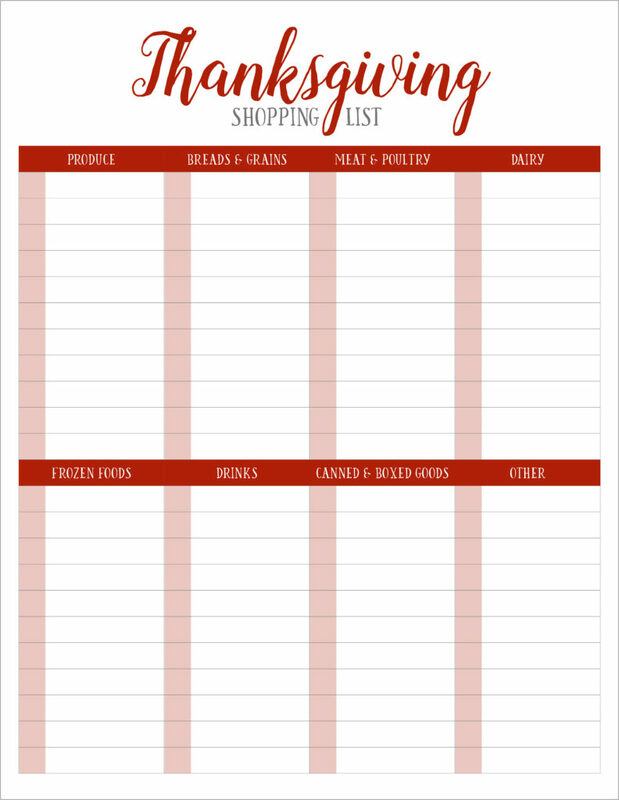 So while I have a paid Thanksgiving planner in my Etsy Shop (and a standard, deluxe and even A5 Christmas planner) that are great for planning everything out I wanted to take it one step further and provide some free printable thanksgiving meal planners / shopping lists. ALL the thanksgiving templates / layouts below are 100% free! 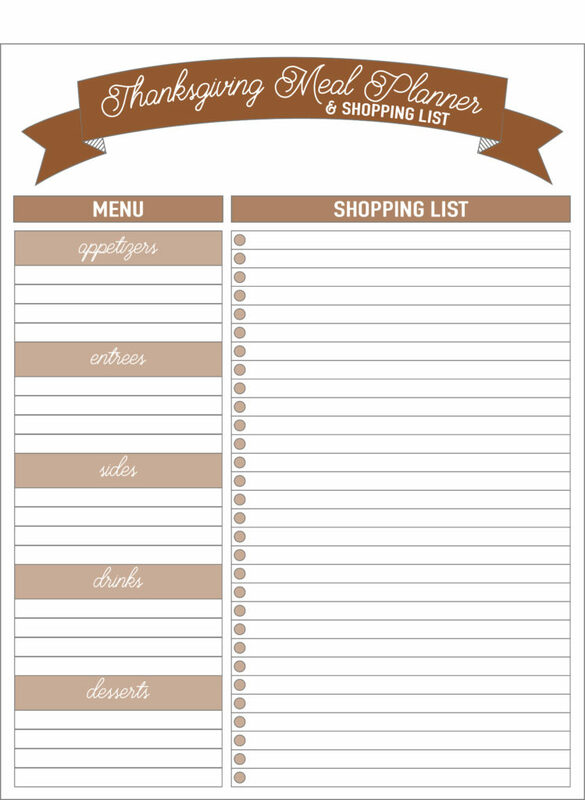 Without further ado, check out the free printable meal planners and shopping lists below. 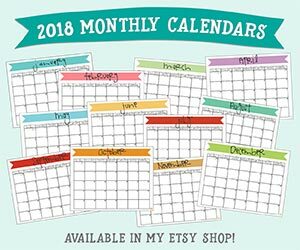 Just click on the text link below the layout you like most to download and print so you can start preparing early! Every one minus the pumpkin one comes in the following colors: red, orange, yellow, and brown. All the different colors are in the same PDF. Just download the one file and print the page/color you prefer! Let me know in the comments if I’m missing something and I’ll do my best to add some new ones. 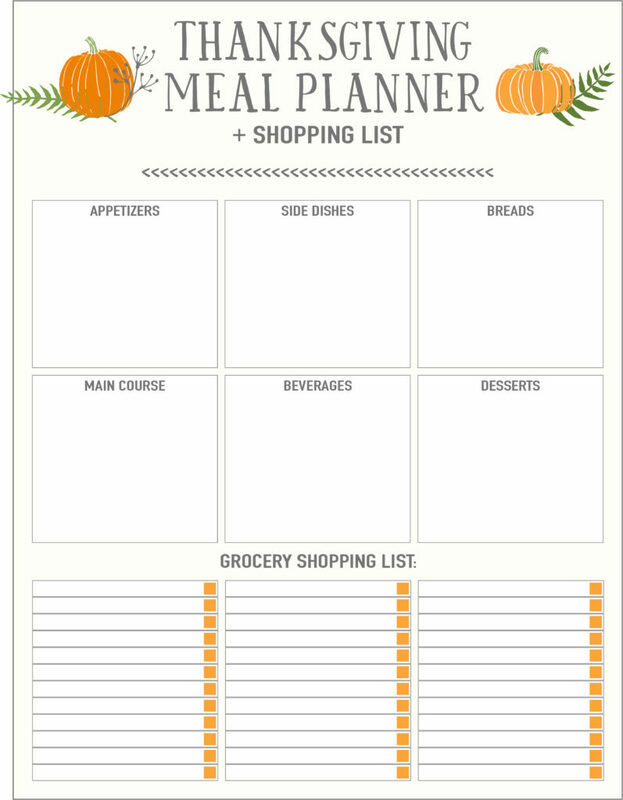 The meal planner and shopping list below, with the gorgeous pumpkins that will presumably turn into pumpkin pie, is a great way to plan out the big meal by dish and then make sure all the things you need from the store are on the same page. Literally. 🙂 This planner/list is only available in the color seen below. The link to download this one is just below the image. The printable Thanksgiving shopping list below isn’t done by dishes but rather the different parts of a meal – appetizers, entrees, sides, drinks, and desserts. List what you need for each area just below or however you’d like in the “To Buy” sections. Either way, you should be able to put everything for your turkey meal down on paper! 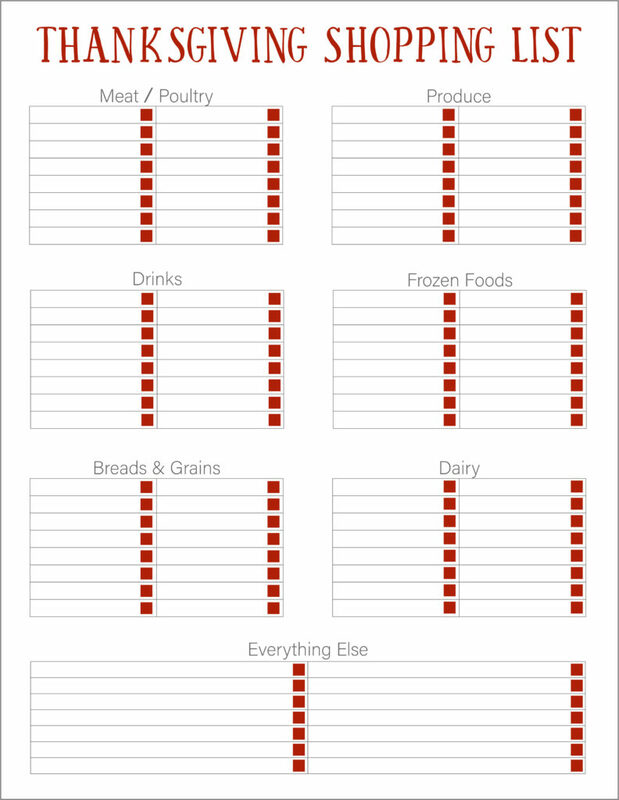 In contrast to the horizontal one above, the vertical meal planner and shopping list below is structured much the same way – by parts of your meal. 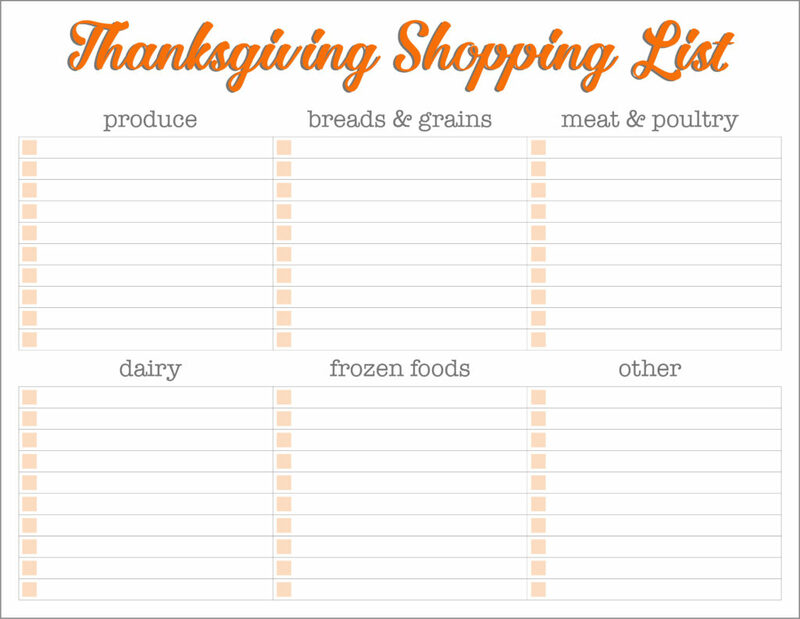 Use the section below to plan out what is needed for all your appetizers, entrees, sides and more! 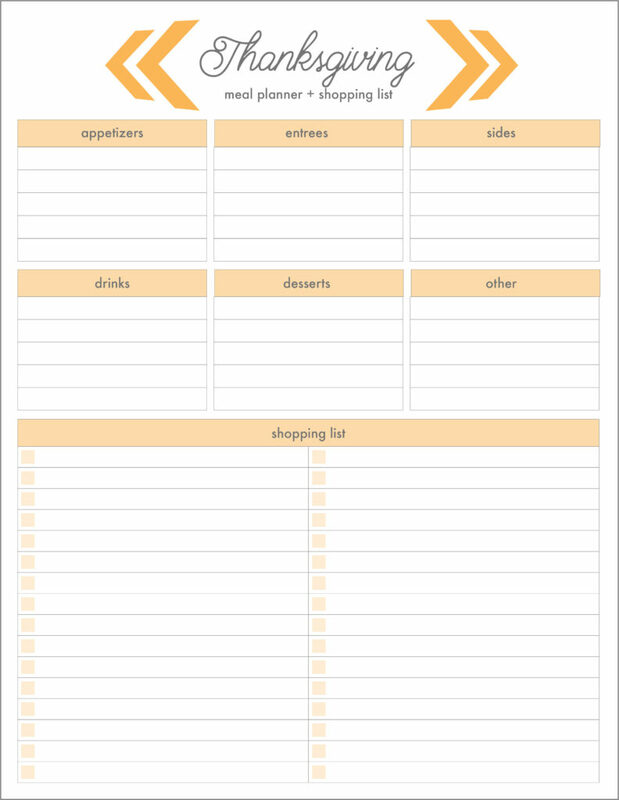 This printable meal planner for Thanksgiving is another vertical one with the menu planning part on the left hand side and the shopping list on the right. Like all the others, except the pumpkin one above, it’s available in four different colors! 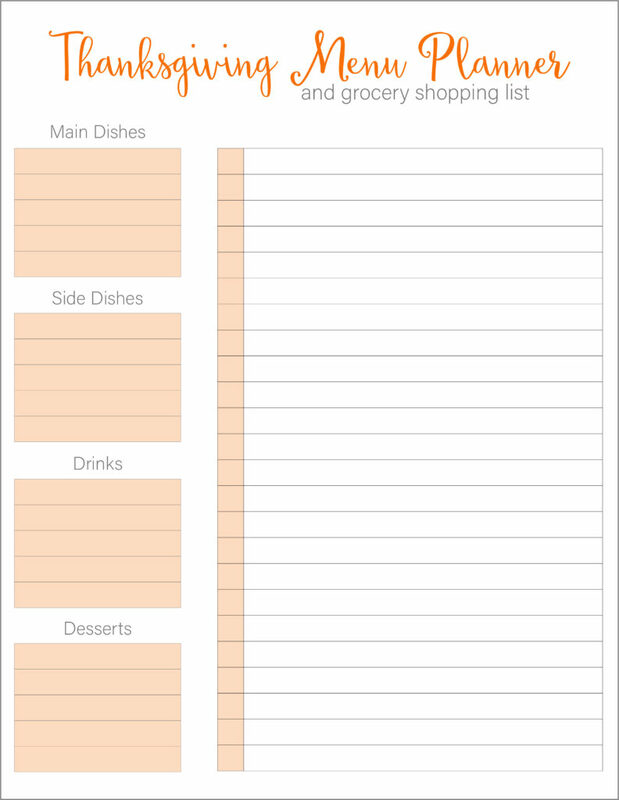 Fill out your dishes on the left hand side and make your grocery shopping on the right side on this planner. The small vertical column on the grocery shopping list portion allows you to check off the items for turkey dinner as you get them purchased. The free printable below is as basic as it gets but who says basic doesn’t work like a charm? 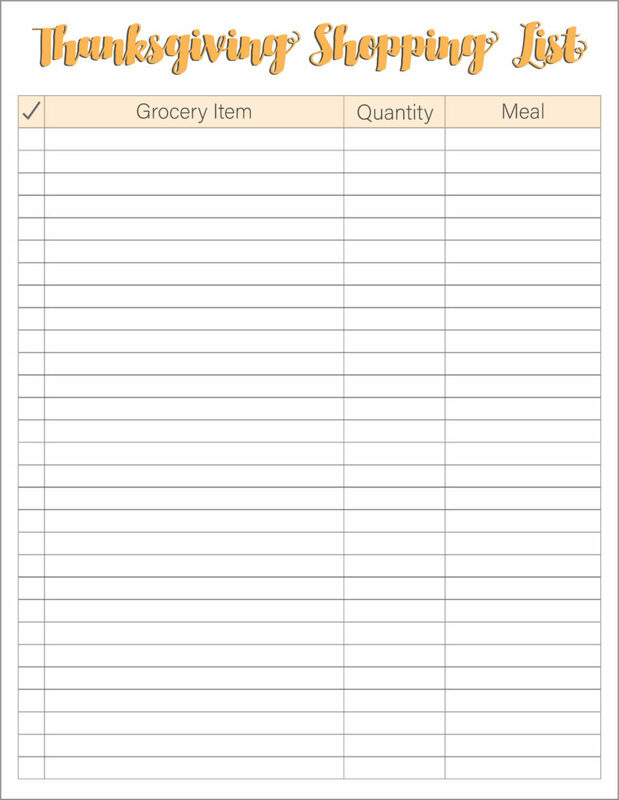 Make a list of everything you need for Thanksgiving dinner and dessert, how much you need, what meal or dish it will be used for and off you go! This free printable allows you to write in each dish you’ll be making for Thanksgiving – as it varies widely from home to home! – and then list off the ingredients and items you need to buy to make each one. Small check boxes allow you to mark them as complete as I’m sure you’ll need to go to a number of stores as I know I always do! Here’s one more for creating your shopping list by store department. 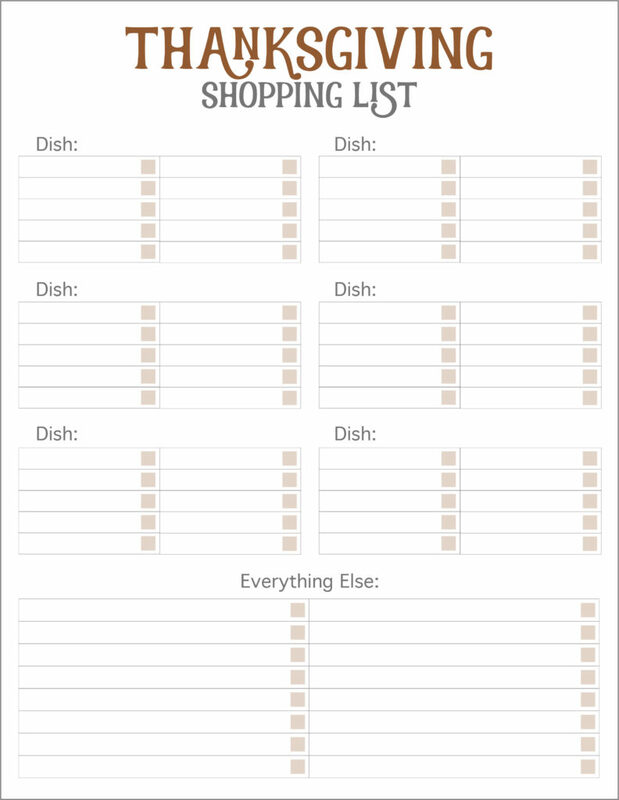 Fill it all out and get that shopping done with plenty of time to start preparing all the deliciousness for the big day! If you like this post and want to share it with friends, or just save it for later, please feel free to pin it!